Featuring the highly reliable and versatile MPEG-2 compression, Canon’s adaptation of MPEG-2 is the Canon XF Codec, which ensures widest compatibility with existing industry systems. This professional camcorder also supports the highest HD quality with Full HD 1920 x 1080 dpi resolution, up to 50 Mbps bit rate and highest quality 4:2:2 colour sampling, which is twice the colour resolution of HDV. 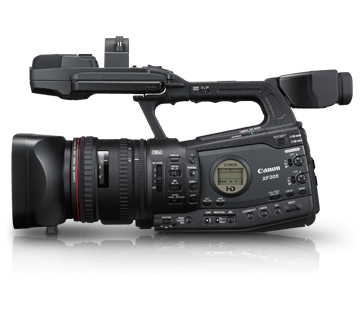 One of the first of its kind, this professional camcorder allows direct recording to the universally available Compact Flash (CF) Cards for unsurpassed image quality matched with convenience and efficiency. Recording functions including Relay Recording, Hot Swapping, File Copy and Backup and Pre Record allow greater recording versatility. 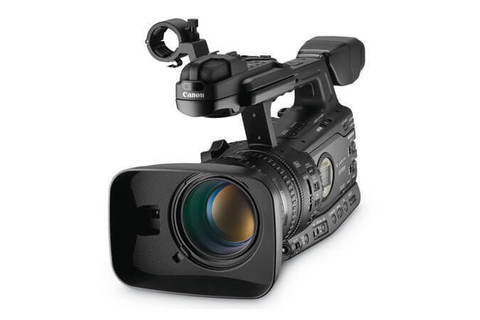 High index, ultra-low dispersion (Hi-UD) glass is placed at the front of this professional camcorder’s lens path to suppress chromatic aberration. The Hi-UD glass is combined with ultra-low dispersion (UD), ultra-high refractive index aspherical (UA) and two double-sided aspherical elements to provide sharp, detailed images, thus making it ideal to meet stringent broadcast transmission standards. Wide Attachment WA-H82, Batteries BP-930, BP-945, BP-950G, BP-970G, BP-955, BP-975, Compact Power Adapter CA-920, Compact Car adapter CB-920, Shoulder Brace SBR-1000, Tripod Adapter TA-100, Zoom Remote Control, Video Light VL-10Li II, Tripod Base TB-1.